Liquid Glass from cellhelmet is an invisible nano-liquid which is rubbed onto your screen, drying and curing to strengthen it on a molecular level. Liquid Glass+ also includes a $100 screen repair guarantee, should it fail to protect your glass. Why would you need Liquid Glass+ on your phone? Phones aren’t getting any cheaper to repair. In fact, the average costs to repair newer phones can be anywhere from $259-$400! Liquid Glass makes your device stronger on a molecular level, which means fewer repairs for you. 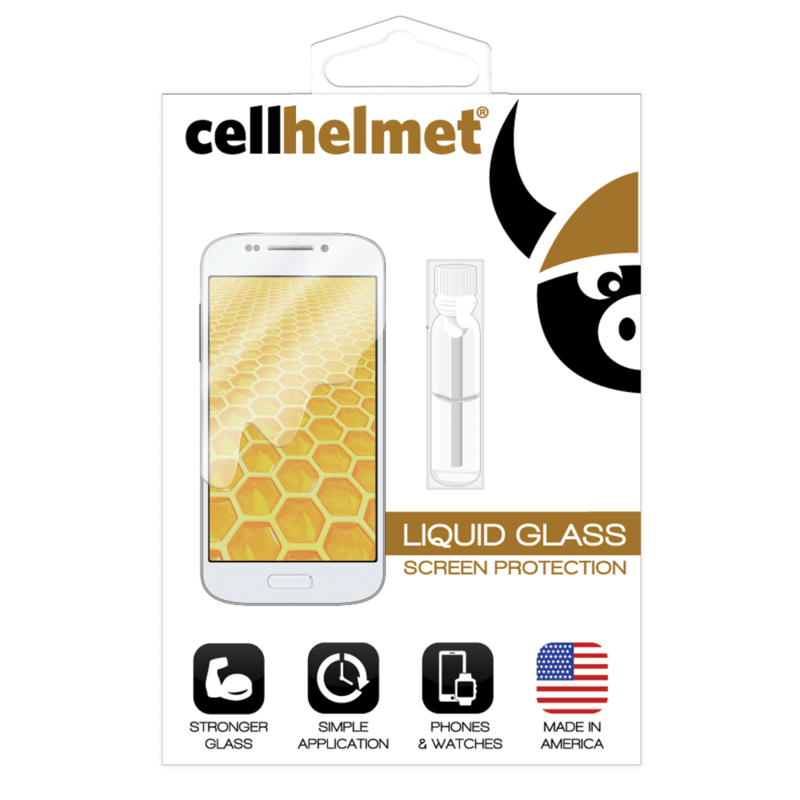 Also, Liquid Glass+ comes with a screen repair guarantee, which means cellhelmet will cover up to $100 of the repair costs. How does Liquid Glass+ actually work? If you observe glass under a microscope you will see that it is a porous material, not as solid as it appears to the naked eye. The main ingredient of Liquid Glass, Silicon Dioxide, fills in the pores and imperfections. Through this process, it cures and forms a stronger surface by chemically bonding to the glass. Is Liquid Glass+ hard to apply? Not at all! Simply drip the contents of the vial onto your screen, wipe it on and buff it off. It really is that simple. The device can be used immediately after application, while the product will completely cure over the next 24 hours. No bubbles, no alignment, and no more headaches. If you purchase at a Best Cellular location, one of our friendly representatives can even put it on for you!